Faith is back! After both her blockbuster ongoing series and the Future Force miniseries came to an end last year, Valiant’s high-flying psiot superheroine has been laying low for a bit. But now she’s ready to return! 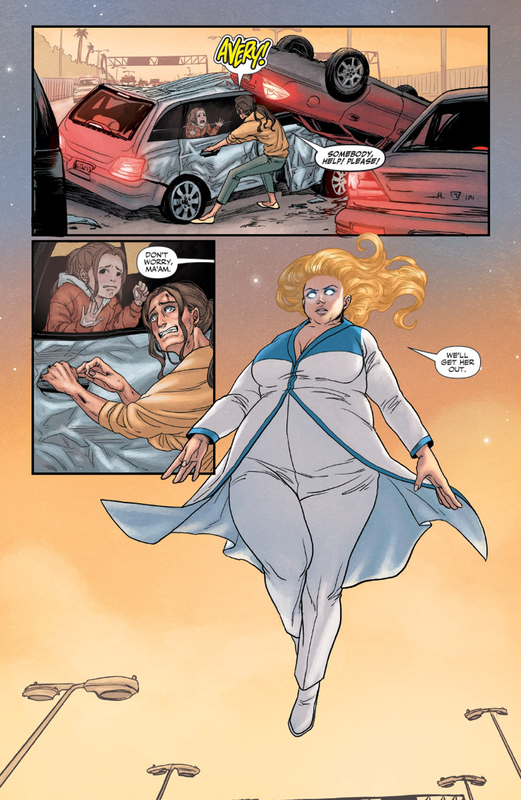 Faith writer Jody Houser told us what to expect from the new series and we have a first look at Faith: Dreamside #1. 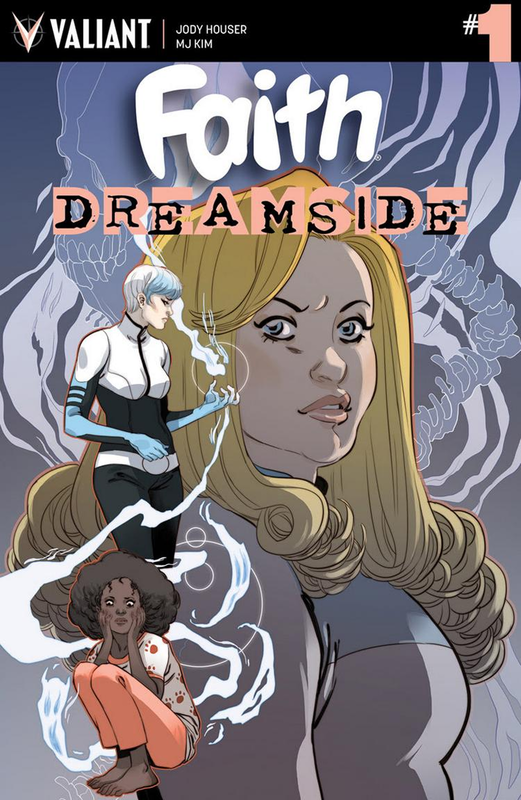 Unlike Faith’s prior series, Dreamside—penned by Houser and featuring art from MJ Kim—is being planned from the start as a four-issue miniseries. But it is set after the events of the ongoing series—which, unfortunately for Faith, means her superhero persona Zephyr is still framed for murder, leading to her having to cut back on heroics to avoid being hunted down by the police. But Dreamside will also give Faith a trippy new adventure to go on, even as she avoids being arrested for crimes she didn’t commit. When her Harbingers teammate Animalia comes to Faith looking for help dealing with disconcerting dreams, Faith finds herself teaming up with another Valiant heroine who’s also been missing from comic shelves for a little while: Shan Fong, also known as the death-defying paranormal investigator, Doctor Mirage. 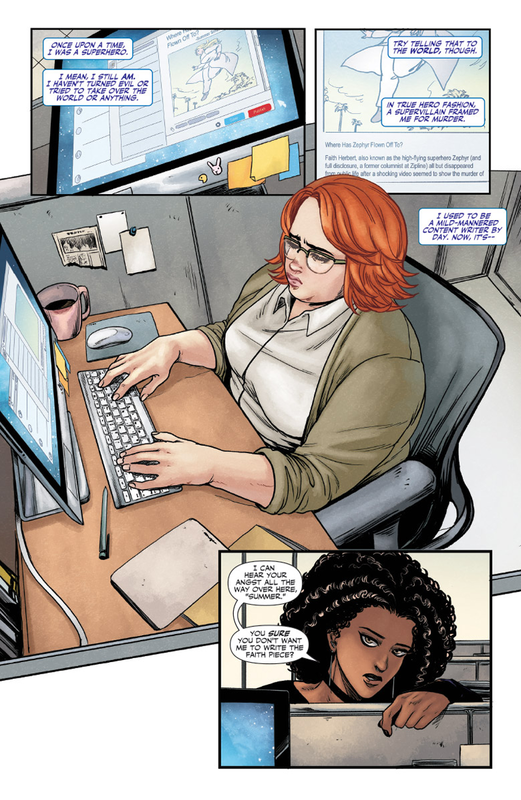 To learn more about Dreamside and what it was like not just returning to Faith’s adventures, but teaming her up with another beloved Valiant heroine, we recently chatted with Jody Houser over email. 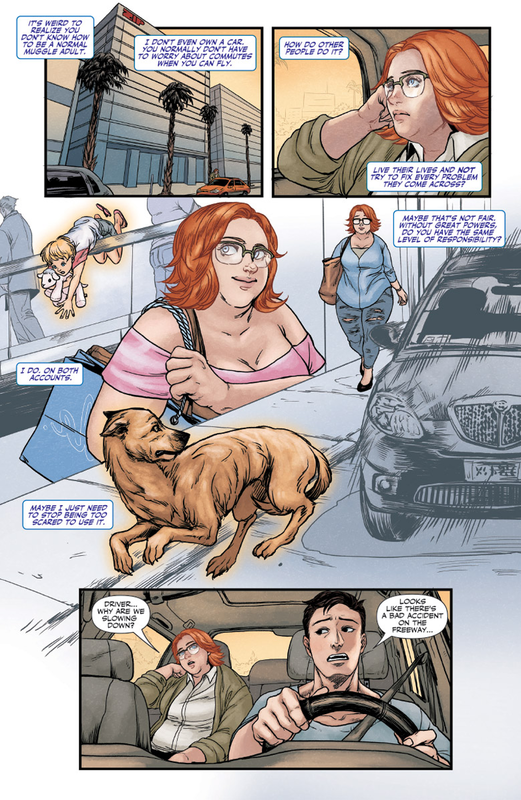 Check out the full interview below, as well as a sneak peek of Faith: Dreamside #1! Faith went through a lot by the climax of her last series. Where does Dreamside pick up on that front, as Faith struggles to balance being a hero and being framed for murder? 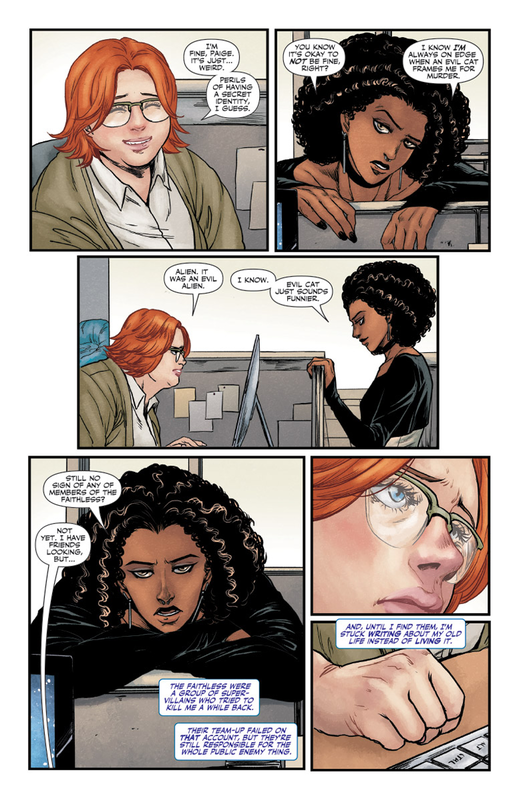 Jody Houser: Faith is still wanted by the authorities for a murder she didn’t commit, and it’s been very hard on her. It’s actually a major factor in this series, as Faith has been forced to stay on the down-low and curb her activities as a superhero. That’s something she’s VERY unhappy with. What does it mean to you to be returning to Faith as a character now? Why was this the right time to pick her story back up? 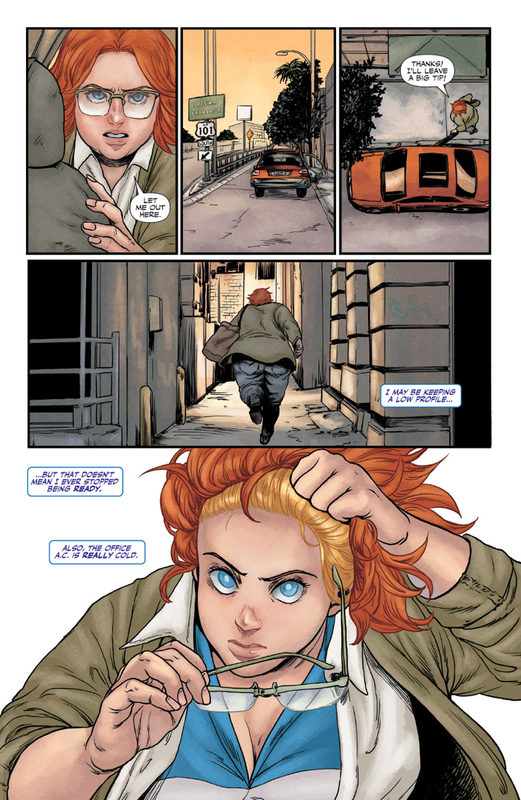 Houser: Faith was one of the first characters I wrote for in comics, and even though it’s been a little while since Faith and the Future Force, it feels like I never left. There was a lot of talk about what was next for Faith starting back at SDCC 2017, so this series has been in the works for a while. You’re also working with MJ Kim for the art on this series. What’s that process been like for you? Houser: It’s been a lot of fun writing scripts that work with MJ Kim’s style. We’re going for a book that’s both cute and scary, and her art has the perfect look to it. Plus, she’s drawn Faith before, so we know she can make our hero look good. You’re also getting to write Doctor Mirage in this series, who’s been away from Valiant’s spotlight for quite a while - what’s it been like getting acquainted with her as a writer? Houser: It’s always fun to go back and reread books that you really enjoy for work. Digging into Shan’s story and the tragedy of her and Hwen’s relationship... They are all elements that will play into Dreamside. What can you tell us about what brings Doctor Fong into Faith’s story? Houser: Faith is good at what she does, but what she does typically doesn’t involve dealing with the supernatural. Being a fan of Doctor Mirage, Faith knows exactly who to go to when she gets in over her head. Faith and Doctor Mirage are, personality-wise, very different. What is their relationship together in Dreamside going to be like? Houser: While their personalities may be different, their goals in the series are the same. That will hopefully do a lot to keep them focused on fighting the bigger enemy and not each other. Doctor Mirage’s typical purview and the titular realm of the dreamside aren’t really the sort of threats that Faith has dealt with before. What’s her reaction to dipping into the supernatural side of the Valiant universe? Houser: We established in the ongoing series that horror is Faith’s least-favourite genre. After she finally got to have her time travel adventure, thrusting her back into the type of mission she’s least comfortable with felt like the right move. But no matter how terrifying the enemy she faces, she’ll do what she must to save the innocent. It feels like Faith has become one of Valiant’s most beloved heroes lately, especially with the rumours swirling around her making the jump to Valiant’s live-action plans. As someone who’s played such a big role in her rise, what’s it’s been like seeing fans embrace Faith as a hero? Houser: It’s been beyond anything I imagined. I initially pitched for the character because I could relate to her love of pop culture and I loved her positivity. I especially loved how she combined the two to be a force for good in the world. Seeing fans embrace her and everything she stands for has been more rewarding than I can ever express. Dreamside is being planned as a miniseries from the get-go. Do you have plans to keep writing Faith beyond this? Houser: Dreamside was only one of the stories for Faith that I’ve been discussing with Valiant. So hopefully this won’t be the end for our hero. Faith: Dreamside #1 hits shelves 26 September.